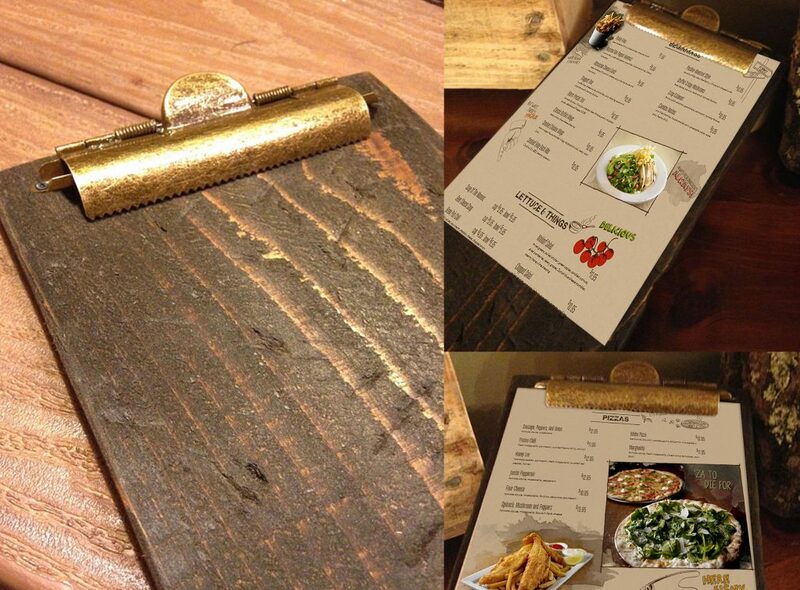 Handmade rustic wood menu boards are perfect for showcasing restaurant menus, drink menus and promotional materials. The rustic, classic clipboard menu board has hundreds of uses. They are also durable and lightweight. Made from real wood and hand finished to add that rustic charm. Our menu boards are topped off with antique style domed clips and old style brass screws. Every menu board comes pre-assembled and ready to display right out of the box. I ordered these for our restaurant and food truck and they have the perfect rustic look! The clips are durable and make for the perfect compliment to our brand!